Happy New Years friends!! This is the fourth year that I have ever joined in on the "pick a word for the year train". Every year as I start to pray about the upcoming year and ask the Lord for a word and for some scripture verses for the year I am always amazed at how the Lord leads. As the year unfolds I am continuously amazed at how uniquely this word will come into play in encouraging me, reminding me of God's unique grace and love, and the way that I see His plan unfold in unique ways. Granted, it is not a word that is "common" or used everyday but the definitions sum up exactly what I pray for for this coming year. 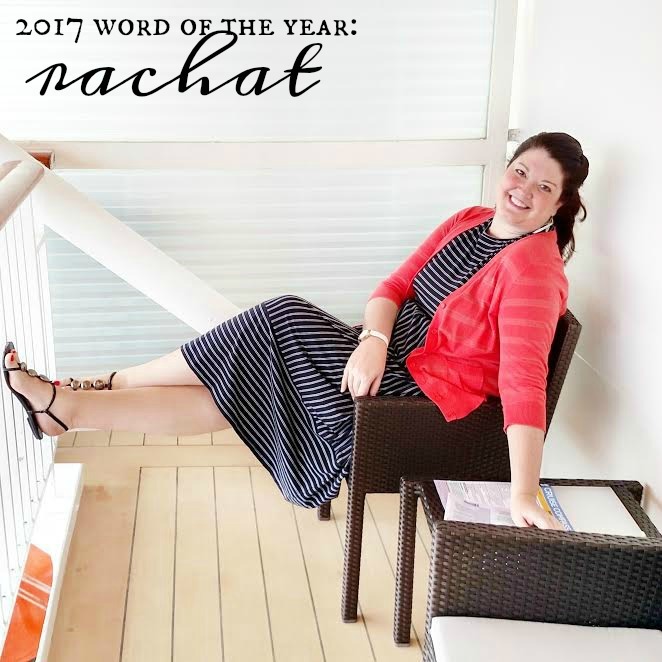 You may be wondering why I chose the french word for this year and I can't wait to share more with you on Wednesday about my goals for this upcoming year and will explain the unique reason I have chosen the french word. This word is perfect for many areas of my life, but as this battle for my health continues to be very difficult and demanding and I want to meet this challenge with the hope of what is coming and the full belief that the Lord is bring full redemption and restoration. I want to persevere and yet live fully in this season. As I lean on the Lord's strength to conquer the "unknowns" of what lies ahead with my health, healing, relationships, my professional life, my shop, my writing, and some personal circumstances I can rest fully in the knowledge that His strength is going to give me the joy to face these demanding and difficult situations and bring about a victory that I could never imagine. Finally, I want to be a good soldier for the Lord in this difficult situation and have the quality of temperament to face the pain of illness, the strength to believe in the impossible, and the lovely peace that comes from trusting a Sovereign God fully without fear. A lot of time as a young sick gal I find myself facing the truth that I struggle with this season being one of "crumbling". To be honest, it is not a lot of fun. *smiles* The other day I was moaning and complaining to the Lord and saying, "hasn't there been enough pain?" "hasn't there been enough sickness?" "haven't I endured enough on this journey?" I am humbled by the Lord's love that so graciously puts up with my complaining. How great His love is for His children. BUT... I admit that I have been dealing with some deep grief behind the scenes. Recently I have felt such a tug-of-war about wishing this story was different. I have cried many tears about the deep aching dreams that I see others receiving and living while I struggle to get out of bed some days. My "successes" of the day often revolve around things that would seem small to the rest of the world. I haven't talked about it much on this blog but it has been a death ... a relinquishing of many many dreams on this long journey. There have been many tears that have been spent on this tender subject. Many tears wondering if my greatest dreams of being married and being a mama will come true. Even writing those words and reading them is difficult as I surrender to the Lord. But in the midst of this the Lord has promised redemption and restoration. I don't claim to know exactly what that will look like in my life or the way that it will manifest itself. I know that it will look unique and the way that the Lord will write the story and I trust His best ways. The Lord is staring to beautiful restore and redeem. He is bringing rachat into my life in unique and tender and gracious ways. So that is my "word" for the year friends! Did y'all pick a "word" for this year? I would love to hear about it and what the significance is to you!! "Wrong will be right, when Aslan comes in sight, at the sound of his roar, sorrows will be no more, when he bares his teeth, winter meets its death, and when he shakes his mane, we shall have spring again." I love seeing people choose really unique words! Wishing you a year full of redemption, restoration and growing in your faith! Visiting your blog last year inspired me to have my own word of the year. Last year was gratitude and this year my word is success. What success means to me have changed over the years as the status of my full time writing career has changed course. Freelance writer instead of my plan of published author. But I'm enjoying it and making my own money which is great. Also improving my relationship with God and spending more time on my faith would be considered a success to me as well. All the best with 2017, your year of rachat, Rebecca.